2014 Reading: #22 Lauren Oliver’s Delirium – It's Time to Read! 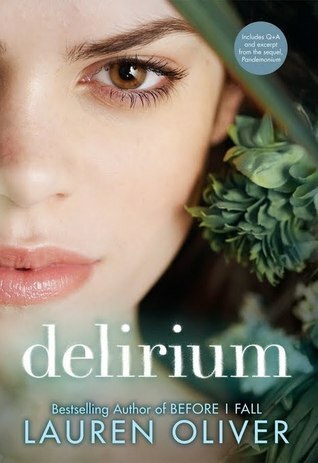 Book 22 in 2014 was Lauren Oliver’s Delirium. This is the first book in the Delirium series, which was first released in 2011, so like usual, I am late to read the series! This was a book I was nervous about reading. This is a big series, on par with The Hunger Games and Twilight. I remember being nervous reading them too – the reason I was cautious is I worry I will be the only person in the world who doesn’t like the novel! As it happens, this book didn’t live up to expectations. Don’t get me wrong, I liked this book, but it wasn’t as good as I thought it would be. It took the first quarter of the book for anything to really happen, then the pace increased a bit, but it wasn’t until the final few pages that the excitement really hit the book. I did enjoy the story, and I have reserved the next book, Pandemonium, from the library; but that is the difference for me between this series and other great YA series that I have read – this time I am waiting for the book to come into the library, with the Divergent series I downloaded the second and third books as fast as I could. Pingback: 2014 Reading: #26 Lauren Oliver’s Pandemonium | It's Time to Read! Pingback: 2014 Reading: #29 Lauren Oliver’s Requiem | It's Time to Read!